Next.js 3.0: The Universal React App Toolchain — The stable release of Next.js v3.0 arrived this week, bringing with it dynamic import support, static export support, code splitting and more. All About React Router 4 — A dive into React Router 4, how it’s so different from previous React Router versions, and why that is. 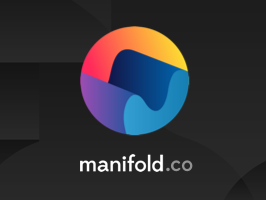 Finally manage your services like a developer — Manifold is the simplest way to implement the services you need in your app. Manage logging, mail, databases and more with a single account. Start building your stack today. React Animations in Depth — Nader Dabit looks at five options you have for doing Web-based animations with React including the pros and cons of each. React Simple Maps: SVG Map React Components — A library of React components to make SVG maps using d3-geo and topojson. Good demos on the homepage and associated repo here. StackBlitz: An Online VS Code IDE for Angular + React Dev — Get the VS Code experience in your browser. Introductory post here. React Day (Berlin): Call for Speakers Now Open — Taking place in Berlin on December 2. Submissions are open until September 20. How to Do End-to-End React Native Testing with Detox — An end-to-end testing library that can emulate user behavior and test how your app reacts to it. Creating A Ride-Booking App with React Native and Pusher — Learn how you can create a ride-booking app similar to Uber, Lyft or Grab with React Native. Prototyping with React VR — An overview of Airbnb’s recent VR experiments. UiZoo.js: A Way to Showcase React Components — Related blog post here, and live demo here.